THEISPOT.COM: Illustration News: Ryan Snook Illustration: Apocalypse? No. 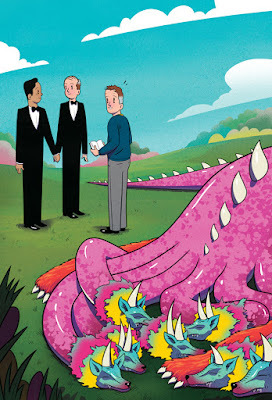 Ryan Snook’s illustration for Indianapolis Monthly accompanies an article observing that two men getting married does not, in fact, wake the seven-headed beast of the apocalypse.